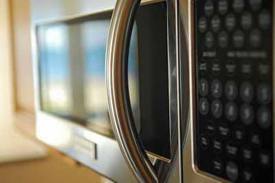 Whenever you find yourself in need of microwave repair in Lodi in New Jersey, our company is at your service. It’s hard to beat the speed and easiness of preparing food in microwave ovens. However, you start realizing the benefits of this appliance when it stops operating as it should. But no worries! Just give us a call and we will send out a professional tech to take care of your concerns. By choosing us for your microwave repair Lodi service, you will get your unit back on track fast and at a price you can afford! In addition to repairs, our company specializes in preventative microwave service. The local specialists can check your unit on a regular basis to detect and correct all potential problems before they get worse. With a vast experience in the field, they can work on all brands and types of microwaves. No matter if you have a built-in, over-the-range or counter top model, the Lodi microwave service expert will make it run smoothly like a brand new. Our company is committed to delivering fast and professional help whenever the urge arises. Don’t let a broken appliance interrupt your daily chores and book your Lodi microwave repair right away. With our services, your utmost satisfaction is guaranteed!